South Sudan gained independence from Sudan in 2011, forming the world’s newest country in the process. Although independence was accompanied by a sense of optimism about what lay ahead, South Sudan’s short history has been marred by political turmoil and civil war. 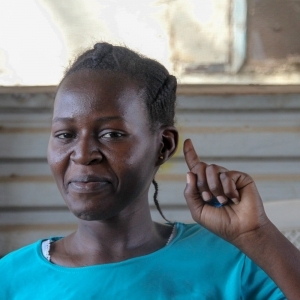 DMI has a fledgling ministry to the deaf in South Sudan with one church planted in the capital city, Juba. The church continues to reach out to others in the deaf community in Juba and it has become an important source of information and comfort during the outbreaks of political violence in the city.